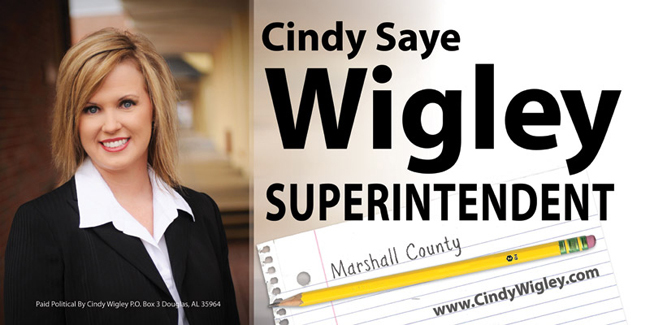 When Cindy Wigley began running for Superintendent of Marshall County, she needed an entire branding package. From business cards to letterhead, pamphlets, and signs, I worked closely with her to create a recognizable brand that could be carried throughout all of her campaign materials. 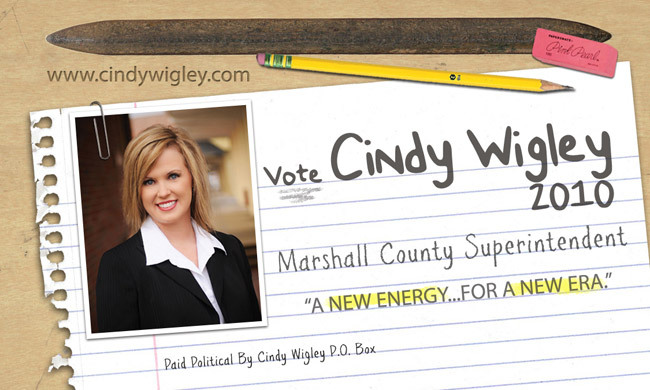 The design that was used for billboards and lawn signs throughout Marshall County. The front of a mail-out pamphlet. The back of a mail-out pamphlet. 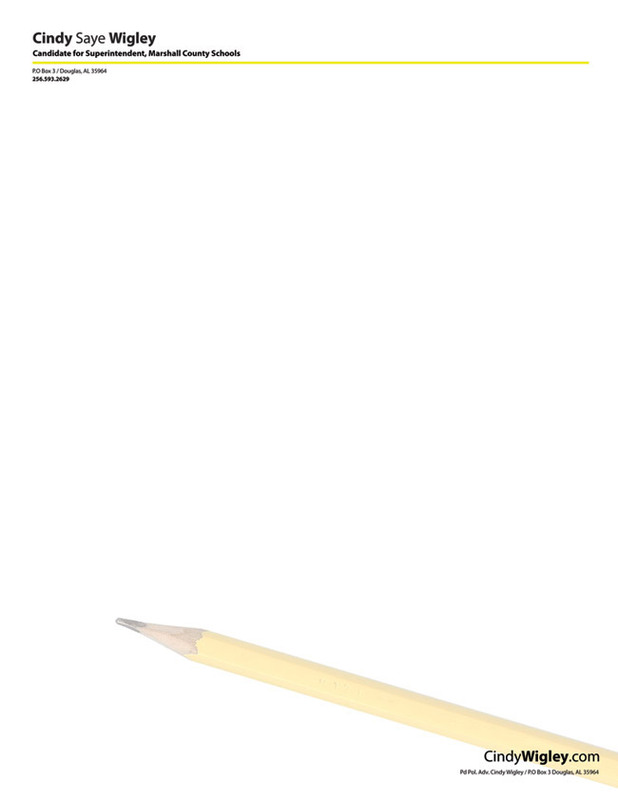 Cindy's letterhead used during her campaign.